Simmer Pro 1.0 is now available to license customers in the Account > Downloads section of this website. 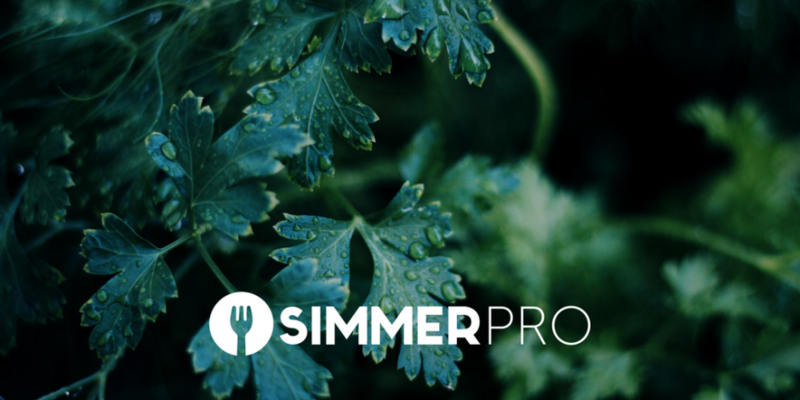 Recipe development is hassle-free and intuitive inside Simmer Pro in WordPress. Customers can request access to the private Simmer Pro repo on GitHub. The next few years will be exciting ones for Simmer as we grow this plugin with enhanced features. Some changes will incorporate extended nutrition content and Google Structured Data, while others will focus on more functional engineering such as a recipe multiplier or divider for precise batch calculation. To request feature enhancements or new products, contact customer service. To create custom code for any application of recipes by Simmer, use the developer API documentation.